We start off this week's four-pack of Cool Chromes with a shot that is impossible to do anymore. The Strasburg Rail Road in Lancaster County, Penn., has always tastefully displayed its steam locomotives. In the early days, the railroad gave each locomotive a "family" look as all were given high headlights, the same numbering style and striping on the cab and tender and the railroad's oval herald. 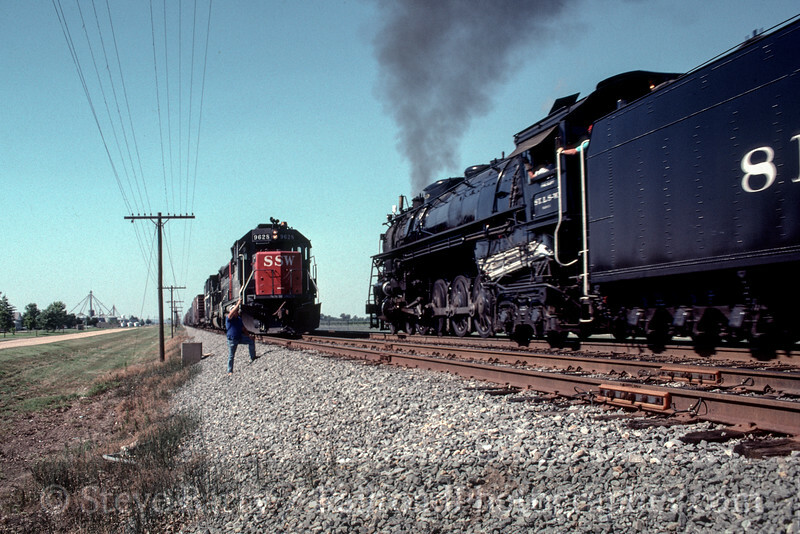 In later years, historic authenticity became the norm -- the Canadian engines had their headlights centered on the smokebox and all the locomotives were given the paint schemes they wore for their pre-Strasburg owners. 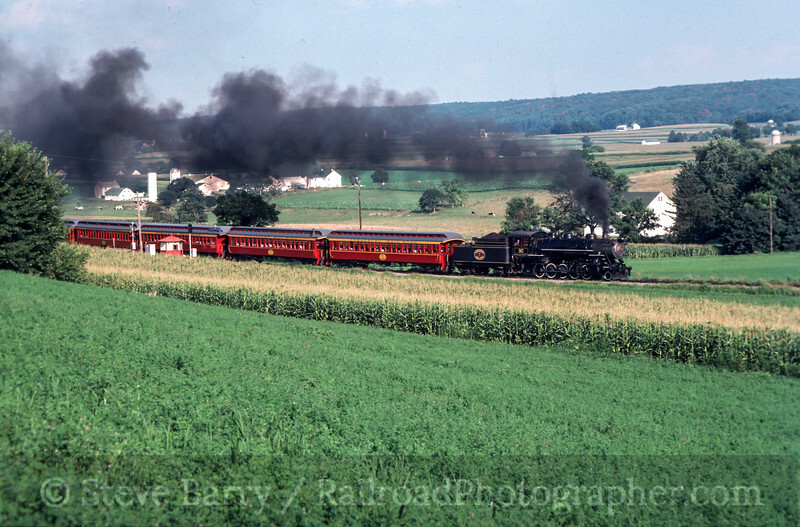 More than that has changed on the Strasburg, though. Cherry Hill, the small station on the line, has a sign listing the population as "17 More Or Less." As the narrator has explained on the Strasburg trains for the past 50 years, that means more when the train arrives, less when it leaves. Today, however, there are seldom fewer than 17 people already at Cherry Hill when the train gets there. A huge corn maize/petting zoo/pumpkin patch has sprouted on the hillside and in the field on either side of the tracks. Our first Cool Chrome goes back to a gentler, less commercial time in August 1982 -- No. 90 is sporting the "Strasburg" look, and the hill at Cherry Hill is still a farm. 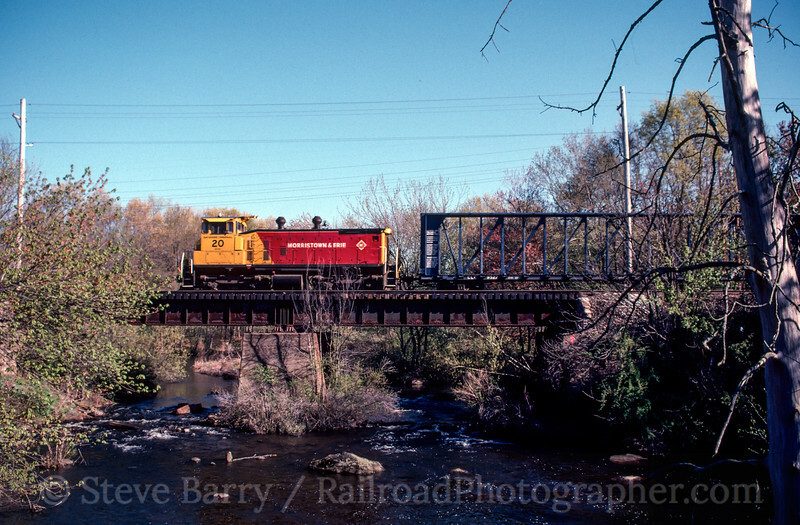 Next up we have Morristown & Erie SW1500 working at Lake Junction near Wharton, N.J., on April 21, 1998. The Toys 'R' Us distribution center in Flanders used to get a boxcar a day delivered from the M&E that it would unload and send toys out to happy girls and boys via truck throughout northern New Jersey; the M&E would pick up the boxcar from Norfolk Southern at Lake Junction. Alas, service on NS became so bad that Toys 'R' Us shifted to all trucks for distribution, costing the M&E an important customer. And we'll head across the country for our final photo. 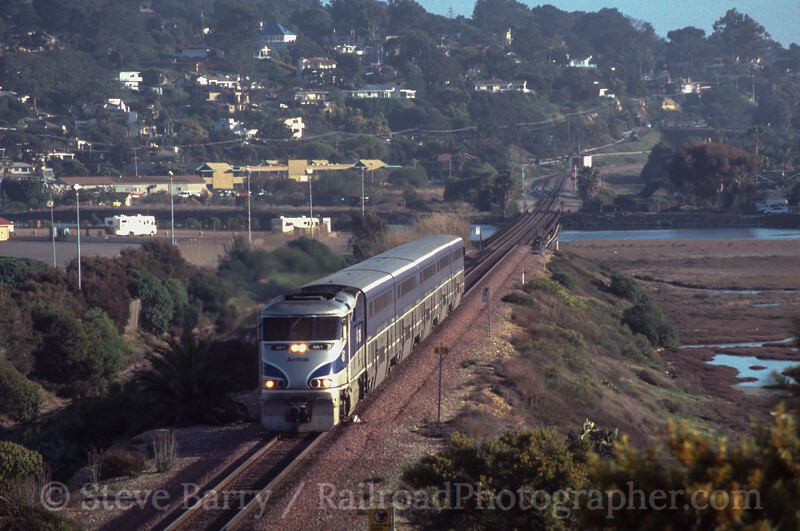 Here we are at Delmar, Calif., in March 2002 as a northbound Amtrak Surfliner crosses the causeway north of town. The tracks beyond the causeway curve to the shoreline, where the tracks ride the bluffs directly above the Pacific Ocean. Delmar is one of the most pleasant places to watch trains in the country.